Heat oil in a pan and break the eggs directly in the pan on medium flame. Sprinkle chopped onions, tomatoes, chilies and seasoning and cover the pan. Once the egg whites are cooked (should not be runny), turn off the flame. 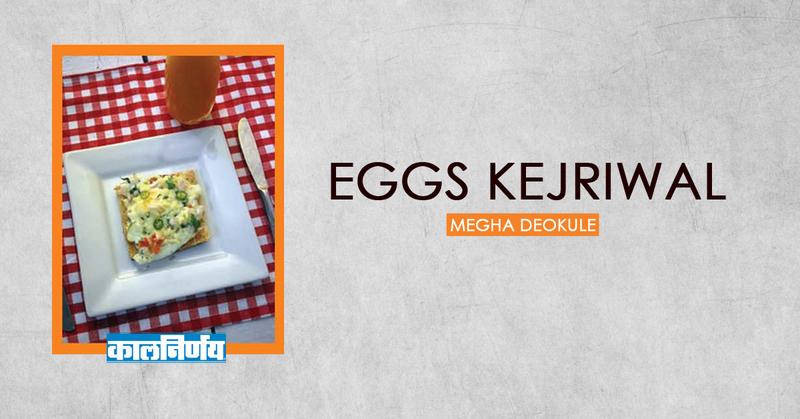 Cut the prepared eggs into two and place on two toasts and add coriander and grated cheese. Return to the pan and cook on a low flame until the cheese melts.